Nose: Yes. Immediate pleasure. Not huge not brash, but a deep and aromatic whisky. The sherry maturation brings deep resinous notes, cedar and sandalwood, thick purple aromatics only a genuine old cask can bring, but also big hints of soot, dirty grease, oily toolbox and some tar. The ghost of ‘light’ phenolics which may or may not be there hard to say. Old waxes galore. Lingering cocoa like a cold oven after baking a chocolate tart, which was perhaps brushed with a little bit of cough syrup. Not a fat whisky and quite nuanced, but an amazing profile with superb integration. Palate: Very robust despite the age and abv. Amazingly even though you can feel it, the sherry influence is so understated next to these little tiny notes of grease, soot, oils, mixed in with tins of wax that push through to the fore, but buoyed by waves of dry blacks and purples. The resin and fragrant wood shines here. To me, the best whiskies are like this, where the line between the cask and spirit is nigh invisible. Finish: Long, perfume wood, soot, charred bits, burnt jam. Nose: This one was definitely matured in a good but very active old sherry cask. Very loud sherry elements here but it does tend towards the drier more phenolic type of sherry so lots of old wet wood and char. Lots of oak tannins! Soy sauce, tar, earth, one eucalyptus leaf, but also thick molasses and burnt nuts, all in a cigar showroom – if such a thing exists. Actually there’s also a juicier black jam and macerated purple plum side to it as well with a thick nutty oiliness. Finish: Long, quite drying and puckering, old oak tannins, black tea, some charred wood. Not quite my style of whisky, but there are hordes that chase after these big old sherry cask glories, still… I recognize that it is a ‘great’ whisky in its own right so.. 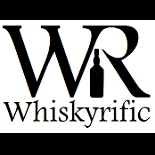 This entry was posted on June 12, 2018 by Whiskyrific in Rosebank and tagged Rosebank.